The world is facing a very real, very alarming trend in the STEM (science, technology, engineering and mathematics) professions: tomorrow’s scientists and engineers just aren’t interested. The appeal of STEM careers has been steadily dropping among young people as they go through middle and high school, but trends indicate that careers in these fields will continue to grow at a faster-than-average pace in the next decade. To keep up with demand and keep the world (and specifically the US in this story) in the global technology game, we have to come up with better ways to get kids interested in math and science. 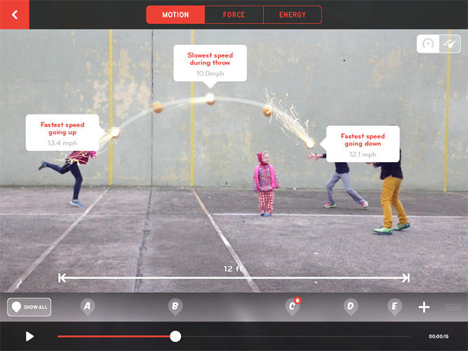 SciPlay, a research group formed in 2010 by the New York Hall of Science, is developing several apps that will make learning physics and scientific concepts seem like a game. 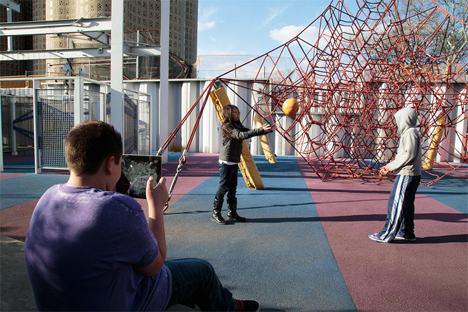 Working with media design firm Local Projects, SciPlay is using kids’ natural love for play to draw their attention to the math and science already happening all around them. 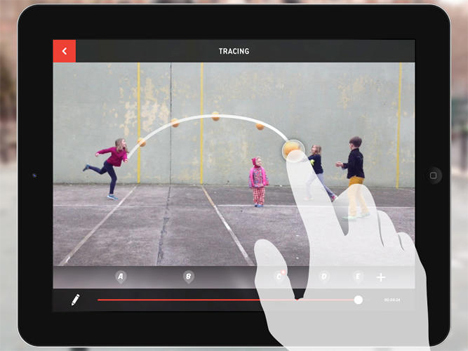 The app works by using video to illustrate the science at work in everyday activities. 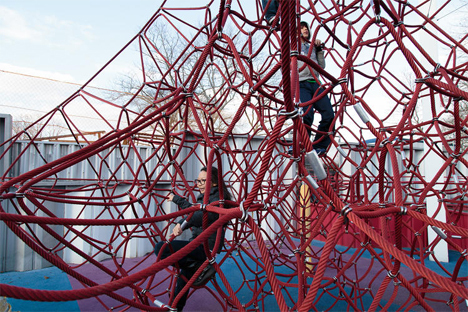 One kid holding an iPad records other kids swinging, throwing a ball, jumping, climbing, or any number of other playground activities. 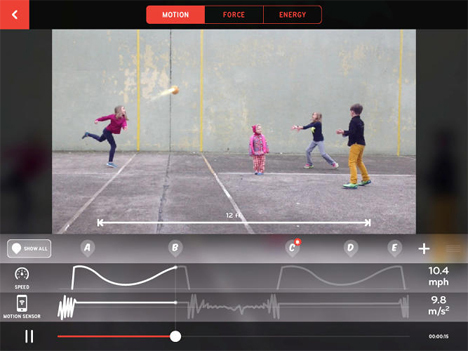 Then, either via information received form a sensor (like an iPod embedded in a foam ball or worn on a kid’s belt) or tracing an arc of motion, the app can illustrate levels of velocity, force, energy, and acceleration. 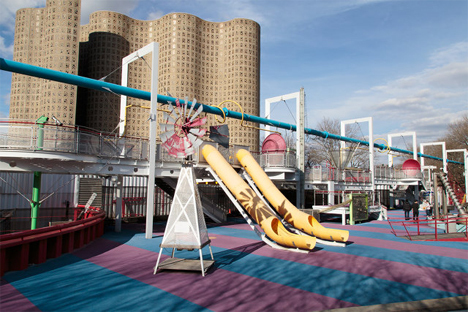 Kids at the New York Hall of Science are acting as collaborators on the project. Their feedback is going into the visual design of the app as well as its functions. 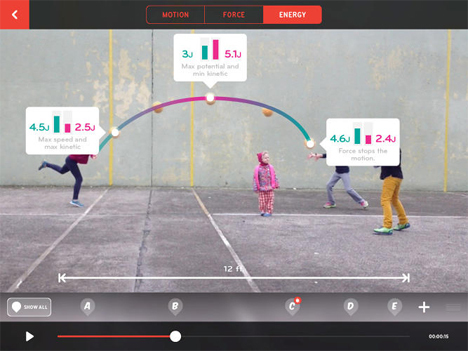 The lucky kids who are in on the project also get to test out the app by playing just like they normally would, then using the app to see the science behind every moment of physical activity. SciPlay thinks (and we agree) that by approaching physics from a playful standpoint rather than trying to lecture on these difficult concepts, they may just be helping to incubate the next generation of great scientific minds. See more in Digital Design or under Technology. September, 2014.